Magdalena Donahue is a two-time Olympic Marathon Trials qualifier (2012, 2016), a geologist, and mom of two young girls. 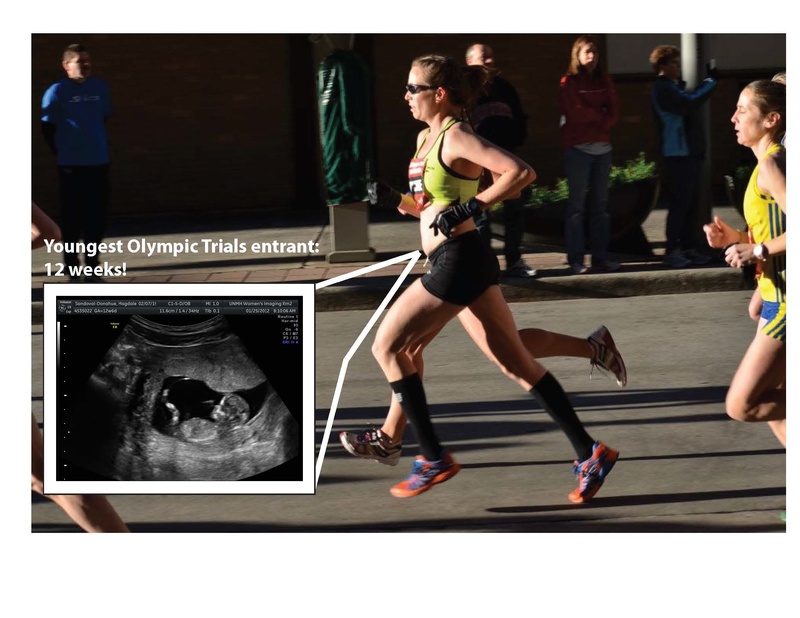 Magdalena ran the 2012 Trials while 12 weeks pregnant, and ran the 2016 Marathon Trials 16 weeks after the birth of her second daughter. Timing is everything, so she’s got her eyes on the 2020 Trials! Magdalena ran cross country and specialized in the 5000m at the University of Oregon, where she attended undergraduate school, majoring in both Geoscience and Fine Arts. She is a native of northern New Mexico, and has been living in Albuquerque since 2009. She completed her MS (2007) and PhD (2016) in geology at the University of New Mexico. Magdalena cofounded Think Ubiquitous, a data visualization and science communication software platform in 2014, and now spends her time creating software, using technology to teach science, and working to find ways to better integrate computation into daily application. If you’re looking for a running coach, I coach online and in person. Please check out the Coaching page for more information. Please feel free to leave your constructive comments, thoughts, and suggestions for future blog topics. I’m glad to be part of the Dukes Track Club here in Albuqurque, and am glad to thank Brooks for their support of my coaching. Please follow me at @RunMagdalena and like my Facebook Page so you stay up to date on all of our happenings. While you’re at it, go on over to the subscribe via email box and follow this blog! Hi Magdalena, congratulations on the coming baby. I knew your dad as a cousin growing up in Truchas. My step-dad is his uncle Flaymon. I haven’t seen Anthony for a few years, but whenever I do, it always seems to be in the mountains. Glad to hear you’re continuing to do well in academics and in running. Best of luck in your future endeavors. Pass along my regards to your dad. Welcome to Albuquerque! There are lots of runners here in town – of all flavors. A big group are the Abq Road Runners, there is the Dukes Track Club, I am just starting a summer running group called Beat the Heat which trains for the Duke City half/full Marathon, and there are many more. Send me a message, and I’ll be happy to discuss other resources for running groups! Thanks – third trimester is going to be tough, but, I’m loving our monsoon rains that are keeping things cooler (for now!). Cheers!